Hear4U are fully committed to offering the best Hearing Healthcare service available, with Home Visits at your request! Ask yourself the following questions and wonder if you would benefit from a Free Hearing Test. Do you feel stressed in social situations because you can’t follow the conversation? Are you constantly turning up the TV? Is your partner frustrated at having to repeat themselves? If any of those seem familiar to you, there may be an underlying problem. However, don’t think that this means you have Hearing Loss. The underlying issue could just be an earwax problem. Do you need a Hearing Test but cannot get to us? We’ll visit you at your home! Call our Head Office or use our Contact Us page to let us know you’ll need a home visit and leave the rest to us! We offer a complementary and in-depth hearing evaluation, assessing the full function of your hearing system. The diagnostic assessment is made up of several hearing tests that give us the information we need to fully evaluate your hearing function. This allows us to understand exactly what is going on with your hearing. 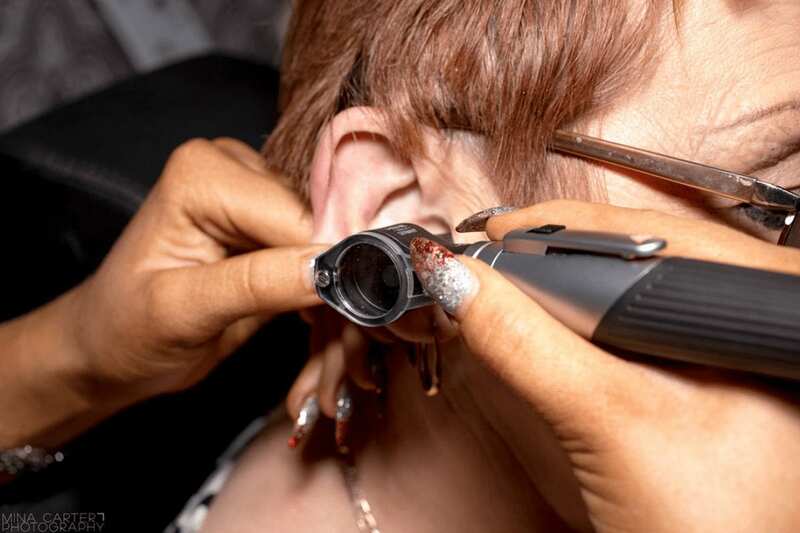 With a full and clear diagnosis, we can then assess if you are suitable for hearing aids or some other treatment. When we have finished your hearing test, we will explain all of your treatment options to you. If you agree to one of the options we will set out and agree with you exactly the way forward. We will discuss all of the elements of your treatment. This allows you to be very clear on what we propose to do, how we propose to deliver it and how you can be expected to benefit from it in the long term. Only with a full picture of your ability to hear, can we make recommendations! That is why we offer an in-depth hearing test covering every area of how you hear! If you have any questions or you would like to find out about your hearing, please contact us! LiSN-S PGA is the new benchmark speech-in-noise test for patients with an existing hearing loss. This unique diagnostic tool allows us to accurately measure how well you understand speech in noise. This group of tests is plotted on a graph called an audiogram which shows your hearing sensitivity at each frequency. It answers the question of whether or not hearing sensitivity is within the normal range, or if there is a hearing loss. This test measures how well your middle ear works. Your middle ear includes your eardrum, the middle ear bones, and your Eustachian tube. It will reveal abnormalities which will signify and can explain a conductive hearing loss and/or any sensation of pressure in the ear. This test measures how the stapedius muscle contracts in response to a loud sound. The absence or presence of acoustic reflexes can be important for differential diagnosis of the underlying problem in hearing loss. The results of your audiometry tests will be recorded on a form called an audiogram, which we will review with you. The audiogram reflects your hearing loss in frequencies and decibels. We will show you the type, pattern, and degree of hearing loss, as well as the percentage of normal conversational speech that you are still able to hear. If you are a suitable candidate for hearing aids, we will then move onto a hearing aid benefit assessment. During this test we use our fitting suite to fit a set of suitable hearing aids to your defined loss. We then use Real Ear Measurement (REM) to verify that the devices are delivering the amplification that you need. The better informed you are, the better decisions you can make! The next step is to consider Treatment Solutions. You can count on us to take the time necessary to understand your concerns so that we can provide you with everything you need to make an informed, personal decision. This is an important focus for us in our business. The better informed you are, the better decisions you can make.